Today’s guest post is by Mary Estacion. Mary is the News Video Producer at the Space Telescope Science Institute. She is also the host and producer of the “Behind the Webb” podcast series, which showcases the James Webb Space Telescope as it is being built as well as the engineers and scientists working on the observatory. 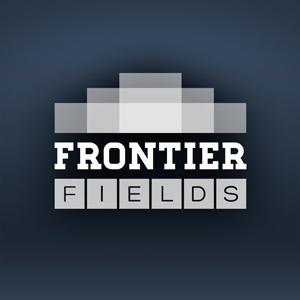 The video in this post highlights a topic of particular interest to the Frontier Fields project — deep field astronomy. The production of the “The Incredible Time Machine” video is part of a year-long celebration highlighting 25 years of the Hubble Space Telescope. Because of Hubble, we can see back to hundreds of millions of years after the Big Bang. This particular segment includes more than a half a dozen scientists from all over the country who have used Hubble to look at the universe’s earliest days. It takes you through the history of the Deep Field Program and shows how the addition of new instruments on Hubble throughout the years has furthered our understanding of the universe’s evolution.